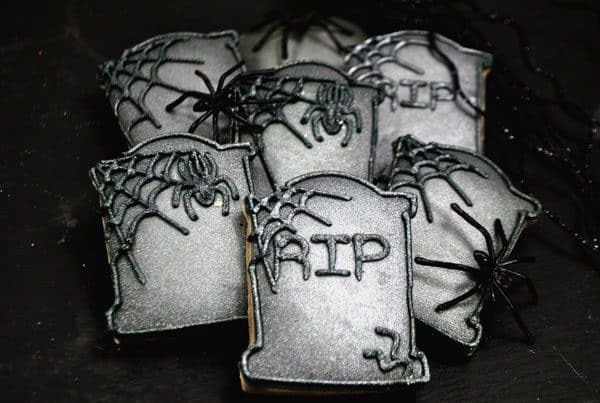 Although I love cooking with the kids I also like making things myself in the kitchen and Halloween is the perfect time to try out some of the cookie decorating skills that I have been working on all year! 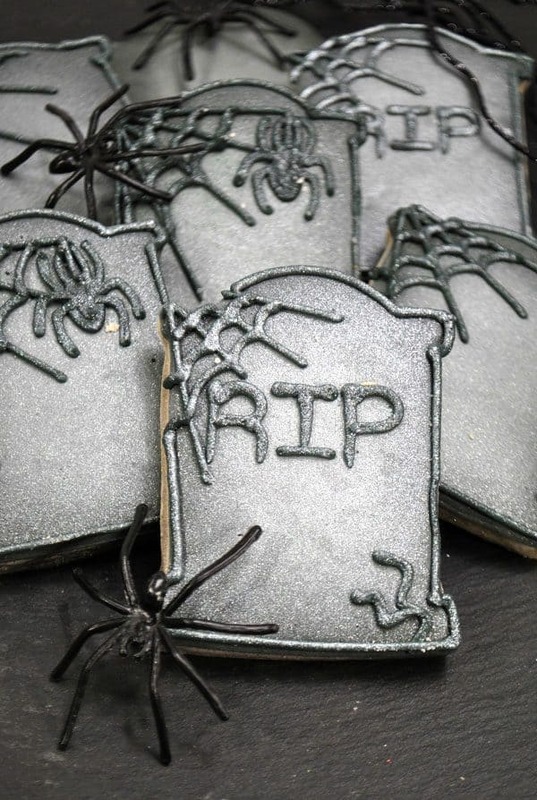 These Tombstone Halloween Cookies are a little more complicated than our gingerbread Halloween cookies that we make with the kids. 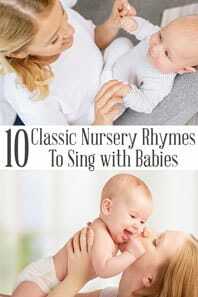 But for a Halloween party or extra special trick and treat gifts they are perfect. 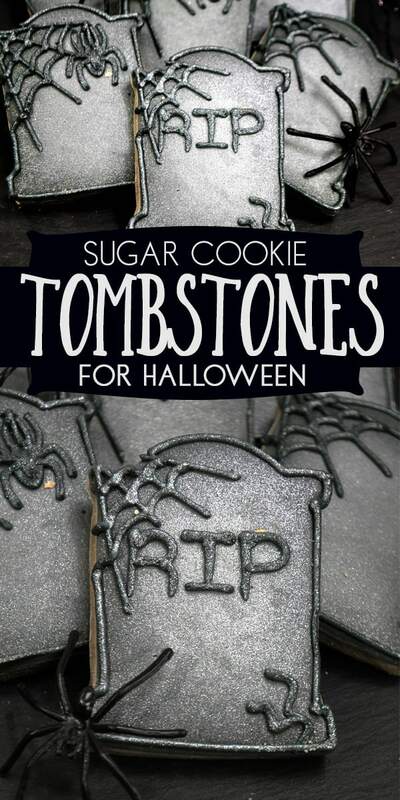 So here to go a step by step guide including cookie recipe on how to make Tombstone Cookies. 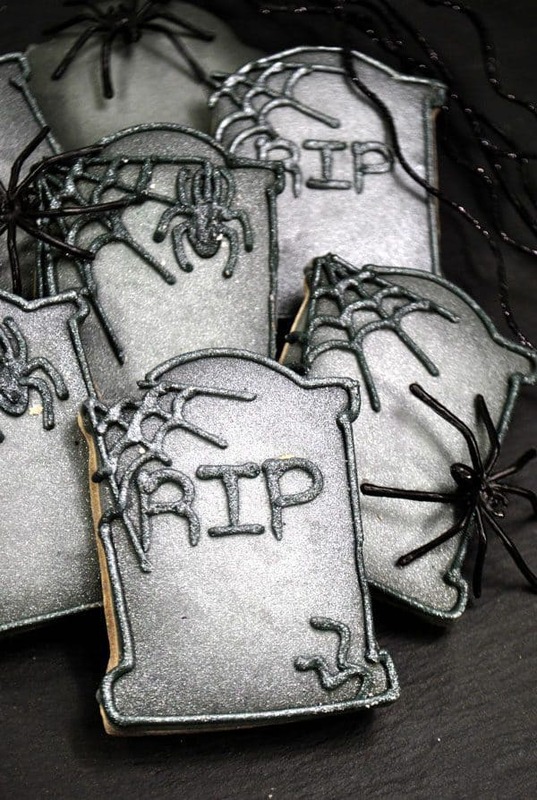 One of the problems that I have had with cookies in the past is that when it comes to cooking them using a sugar cookie recipe they tend to spread. So with some reading around through my cookbook collection, I’ve found this cookie recipe that doesn’t. 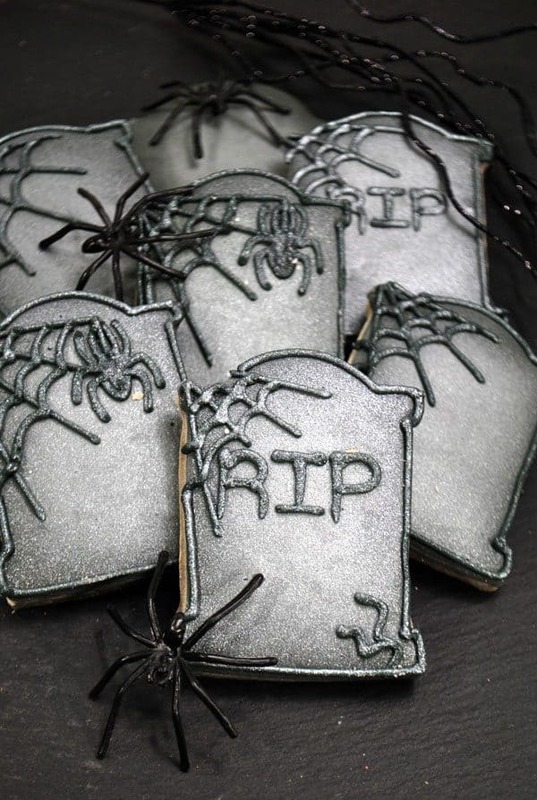 So it is perfect for making decorated cookies like these Tombstone ones for Halloween. To get the decoration right you are looking at a 12+hr time to decorate as you want the icing to set before you add the details to the top. Using royal icing this way lets you make lots of additions and have the raised look that you can see in the pictures. If you don’t allow the icing to set then instead it will sink it, run together and look a mess. So on your first day, you want to make the cookies, let them cool and complete the first stage of decorating them so that the base is completed. Then on the second day, you add in the details the icing will be fine overnight so don’t worry about making up more. 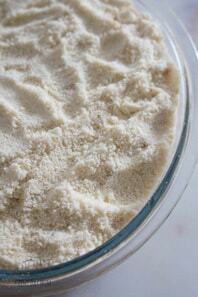 Royal icing can be stored in the pipping bags or containers in the fridge overnight. 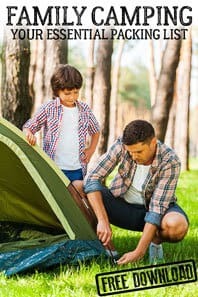 When you want to use them again remove from the fridge and then allow to come to room temperature before re-mixing and using so that it can soften up again. 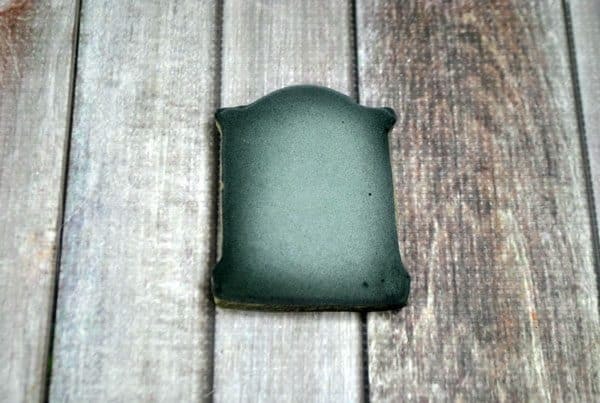 There are a couple of little extra’s that we used to make the cookies that maybe you don’t have in your kitchen but I find very useful when making them. I have made royal icing in the past by hand. But, it is HARD WORK so getting a stand-mixer has saved my arms and made the whole cookie decorating process a LOT quicker. Although I would love a Kitchen Aid (because of the look of them!) I really can’t justify the cost of one so I have a budget-friendly stand mixer which does the job. 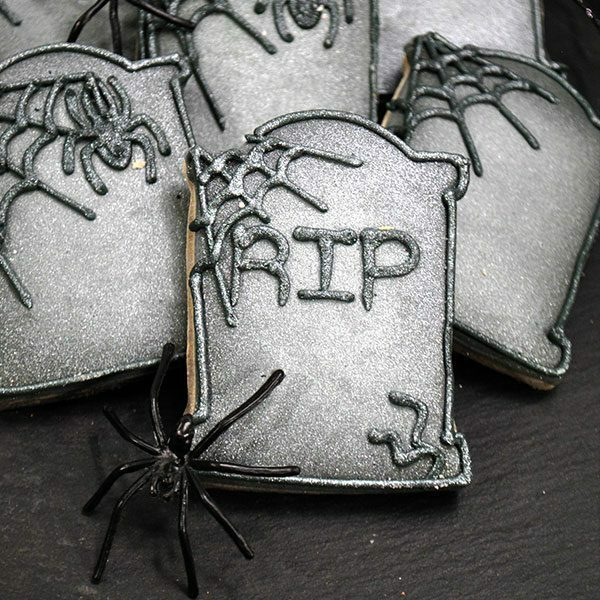 These cookies could be cut out using a template but save yourself some time and get a tombstone cookie cutter. 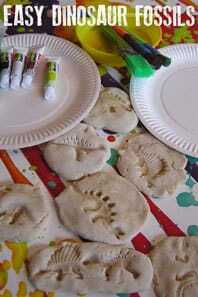 The kids use mine for their cookies as well and for playdough. 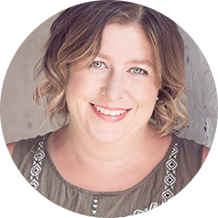 When it comes to pipping bags – I do like being a little environmental friendly so use reusable silicone bags. I like this set that comes with lots of different tips. For decorating these cookies I used the number 2 tip. Oh and don’t forget a squeezy bottle although you can infill your design with a piping bag filled the squeezy bottle is a lot easier to do. 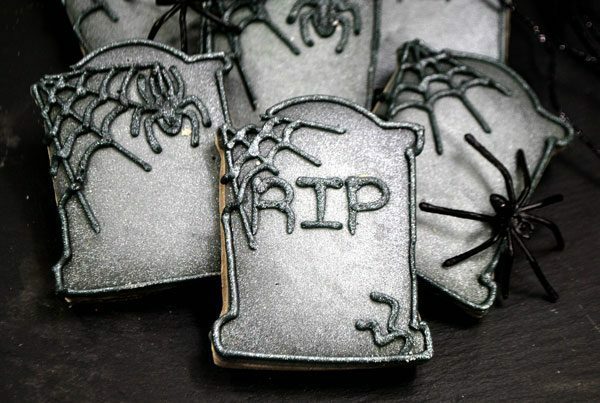 Easy to decorate step by step guide to make these fantastic Tombstone Sugar Cookies for Halloween. 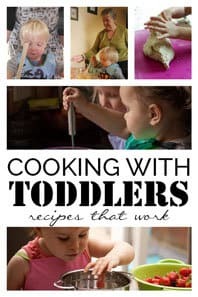 Includes a Recipe for Sugar Cookies that won't spread whilst they bake. 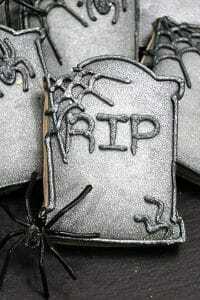 Using the grey piping bag, outline the tombstone carefully so that there aren’t any gaps. Then with the thinned icing, fill in the tombstone it will spread to fill in the area that you have outlined. Allow cookies to dry for 5 minutes. 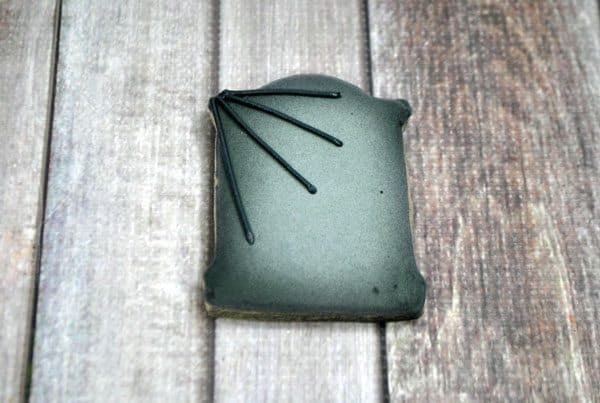 Once cookies are dry, using the black icing pipe 3 lines going from the left corner to almost the centre of the cookie. Then pipe 3 ‘rope’ like lines on the 3 longer lines to create a spider web decoration in the corner. 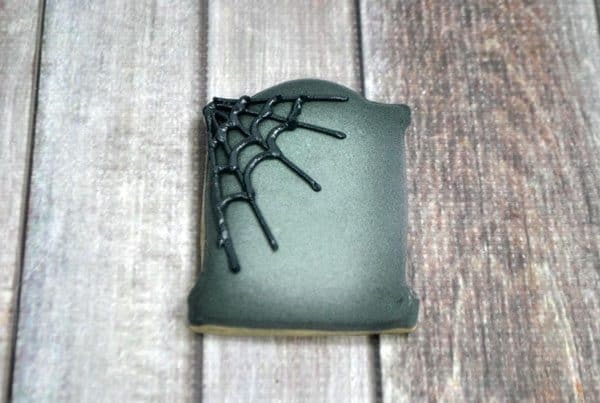 If you want you could use some of the grey icing that you made before and add RIP to the tombstones as we did with one or you can leave them plain with just the spider web. 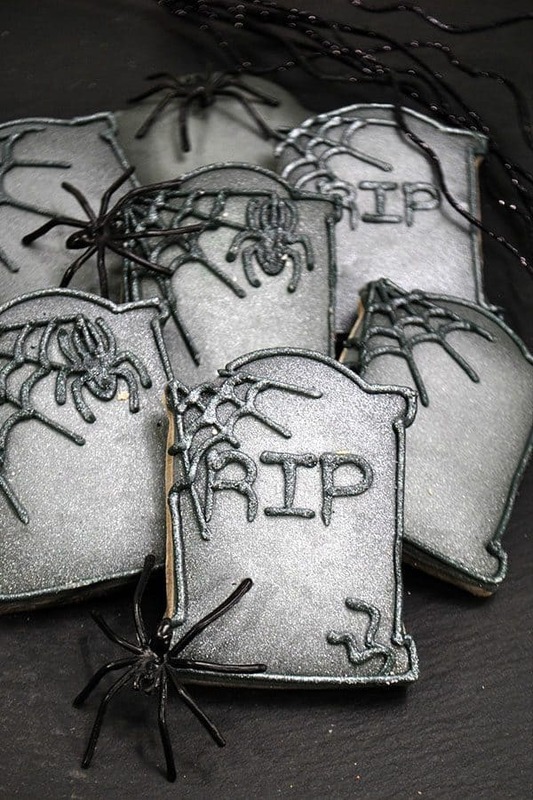 Finish them off using the silver spray, spray the cookies to give it a spooky look! 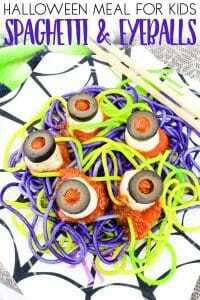 Make a spooky meal for the family this Halloween with this Spaghetti and Eyeballs the kids will love it as it’s fun to eat and look at. 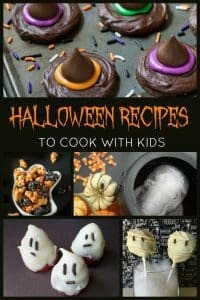 Looking for inspiration for more treats to cook for the kids then check out our Halloween Recipes for Kids. 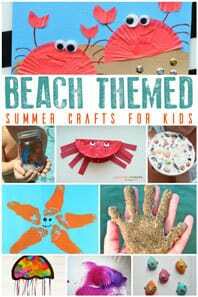 There are so many different treats and they are all so easy that the kids can make them too.